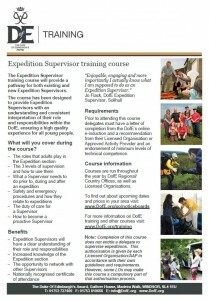 The Expedition Supervisor training course will provide a pathway for both existing and new Expedition Supervisors. The course has been designed to provide Expedition Supervisors with an understanding and consistent interpretation of their role and responsibilities within the DofE, ensuring a high quality experience for all young people. 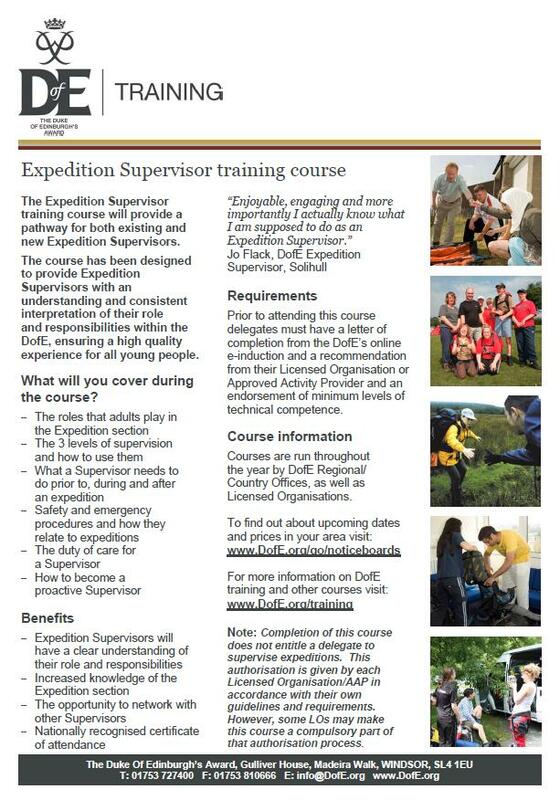 This course covers understanding the role of the Expedition Supervisor, Assessor and other adults involved in the delivery of the Expedition section. It also covers the process of remote supervision, the importance of emergency procedures and understanding the duty of care held by the Supervisor. Please note that this course does not replace technical leadership qualifications required for leading groups in the outdoors. Click here for Adult CPD booking form.